A constant throughout the Long Island days of the races associated with the Vanderbilt Cup Races was track announcer Peter Prunty. A slender man, Prunty wielded a megaphone nearly three feet long and shouted updates to the spectators in the grandstands. 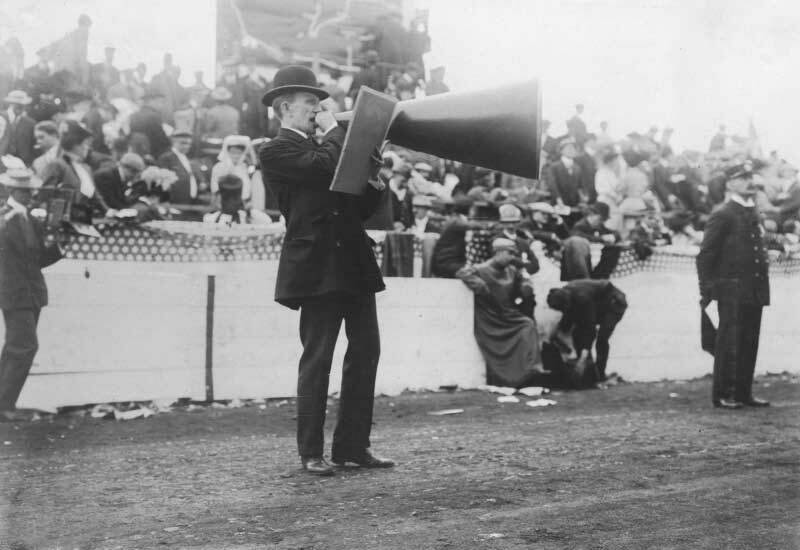 Unlike the race tracks and events of subsequent decades with electric speaker systems and amplifiers, Prunty and his megaphone were the public address system of the Vanderbilt Cup Races. 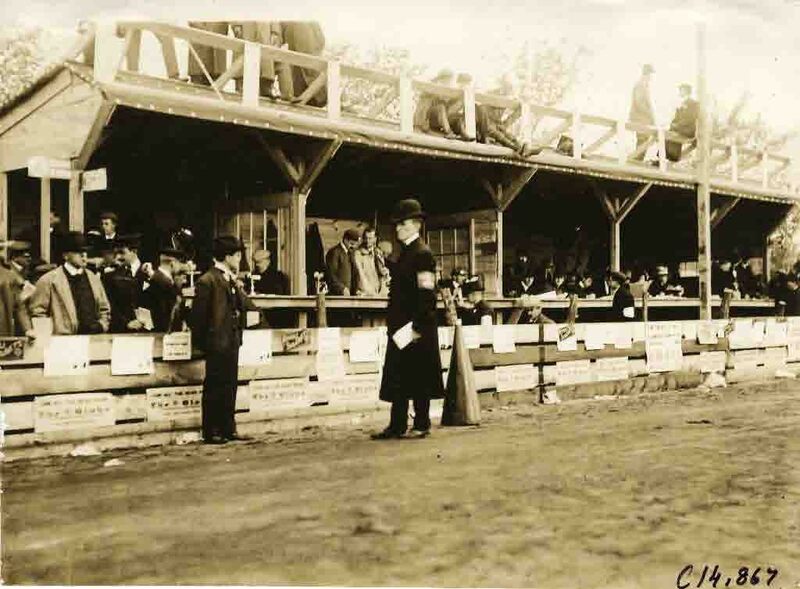 With the extensive telephone system using hundreds of miles of wires to connect numerous vantage points around the course, information was fed into the press and officials stand across from the grandstand. A runner then passed on handwritten reports to Prunty. Prunty used both hands to balance the paper reports and his huge megaphone to read the messages and bellow updates to spectators hungry for information. This was very important as course layouts ranged from 12.64 miles in 1910 to 30.4 miles (including control areas) in 1904 which created long lulls in racing action punctuated by single cars lumbering by every 6 minutes or so. Most of the cars that met with accidents or mechanical failure did so at some remote corner of the course. How effective Prunty was in communicating with those in the grandstand is fodder for speculation. What we can be certain of is that his voice was never heard around the rest of the course where sometimes hundreds of thousands of spectators did their best to determine exactly what was going on. Is this Peter Paul Prunty that was born in England in 1885 and died in Queens in 1945? These are great pictures and a wonderful story! Thanks for sharing it. I believe it is a different Peter Prunty. 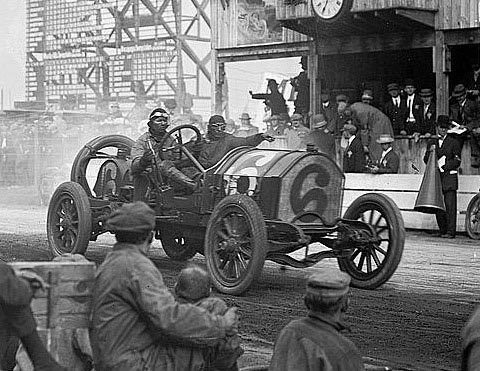 Peter Paul Prunty would have been only 19 years for the first Vanderbilt Cup Race in 1904. 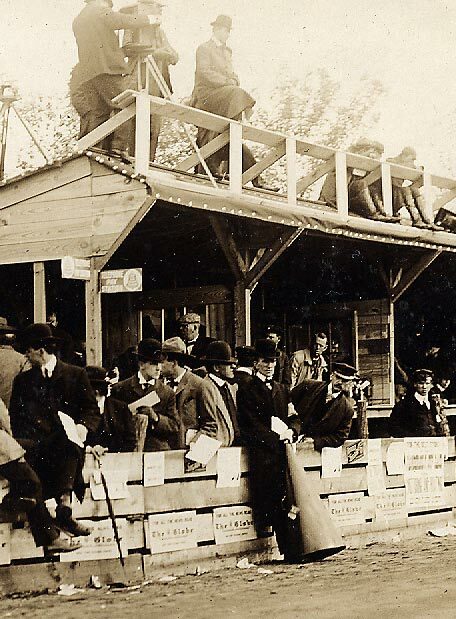 The Peter Prunty at the 1904 Vanderbilt Cup Race appears to be over 30 years old. More VCR trivia: My father, who must have heard him more than once, often referred to him as “leather-lungs” Prunty. Great trivia! Thanks again for your contribution! !